In total, 16 operators (see above) will be invited to participate. As previous years, the identities of the actual participants will be confidential. An operator can, depending on business scope, focus or budget, participate in one, two or three of the benchmarks: Mobile, fixed/cable and/or the integrated benchmark. Integrated operators: Since the mobile-fixed mix is different from one integrated operator to another, integrated operators aren’t just compared “as is”. With tefficient‘s methodology, an operator’s actual mobile-fixed mix will be taken into account on a per-KPI basis making the integrated peer group totally relevant for this specific operator’s mobile-fixed mix. Other modifications to the benchmark are: Improved comparability for equipment sales via subsidy and instalment models; M2M split-out; Improved comparability between telesales in incoming and outgoing calls; Improved comparability between “make or buy” in Networks OPEX & CAPEX; More detailed network quality KPIs. All three benchmarks cover revenue, OPEX, CAPEX, headcount productivity, performance, traffic & load, quality and innovation & growth for 33 functions. Deadline to participate is 23 January 2015. Input data (FY 2014) frozen 20 March 2015. Results available 24 April 2015. If you’re among the 16 operators, please contact tefficient for an introduction. For the second consecutive year: Comprehensive business benchmark including a total of 577 KPIs covering revenue, OPEX, CAPEX, headcount productivity, subscriptions & channels, performance, load, quality and innovation & growth – for 33 functions within a mobile operator. 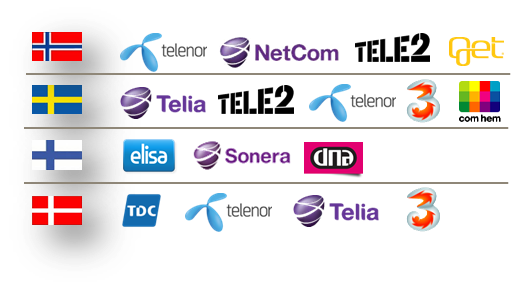 Peer group consisting exclusively of primary data from Swedish, Finnish and Norwegian operators. Due to pre-agreed confidentiality requirements, the identities of the participating operators are fully anonymous. The results again demonstrate the value of a region-specific benchmark approach: Swedish, Finnish and Norwegian operators have global leadership in a wide array of business aspects and a global benchmark would therefore leave them without guidance on how to improve further. In contrast, participating operators now have a great tool to improve their local competitiveness even further. The benchmark will run again in January 2015 and then cover also Danish operators. Operators can participate either as a mobile entity or as an integrated (fixed and mobile) entity. Peer group consisting exclusively of primary data from Swedish, Finnish and Norwegian operators. Due to pre-agreed confidentiality requirements, the identities of the participating operators are fully anonymous.Comprehensive business benchmark including a total of 444 KPIs covering revenue, OPEX, CAPEX, productivity, customer distribution, performance, load, quality and innovation & growth – for 33 functions within a mobile operator. The results demonstrate the value of a region-specific benchmark approach: Swedish, Finnish and Norwegian operators have global leadership in a wide array of business aspects and a global benchmark would therefore leave them without guidance on how to improve further. In contrast, the participating operators have got a great tool to improve their local competitiveness even further. Mobile operator revenue is under pressure. Increased competition leads to decreased prices. Smartphones have transformed the business of operators: Data services are now more used than both voice and messaging. In parts of the world, these challenges are however coped with. To improve further, the Swedish, Finnish and Norwegian mobile operators can’t continue with global benchmarking – it is simply not challenging enough. Consequently, the international efficiency expert tefficient brings a benchmark specific to Sweden, Finland and Norway only. The benchmark covers all business aspects: revenue, OPEX, investments, productivity, customer distribution, quality, load & complexity and innovation & growth. In total, there are 435 KPIs in the benchmark. Swedish, Finnish and Norwegian mobile operators can – by using the benchmark and the analysis that comes with it – improve its local competitiveness. Deadline for participation is 31 January 2013. Input data is for the full year 2012 and need to be finalized by 25 March. The results are ready latest 26 April 2013.